With the annual Inter Primary Schools Track and Field Championships swiped from this year’s calendar, schools were still able to meet last week in a relay competition put on by the Department of Youth Affairs and Sports. 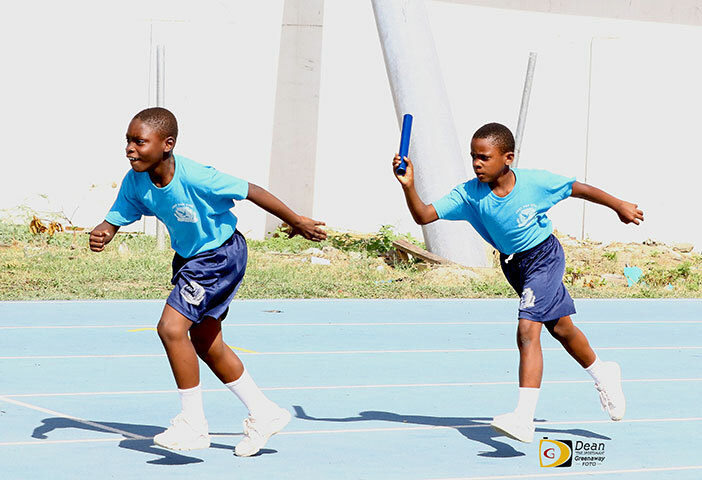 Six of the 13 schools competing in the DYAS Inter Primary Schools Relays, walked off with or shared at least one division victory in the event that attracted over 460 athletes, competing in 22 relays. While Althea Scatliffe was expected to have the strongest showing, Francis Lettsome and Willard Wheatley raced to a dead head in the Grade I Girls Sprint Medley relay as both were timed in 58.90 seconds. Pelican Gate, St. Georges and Jost Van Dyke School-with two relay crowns—also picked up victories to spice up the event for their ardent supporters in tight competitive races, as eight schools scored 100 pointes or more on the day. At the end of the session, Althea Scattlife had victories in 18 of the 22 relays to amass 248 points, with 216 coming from victories. Willard Wheatley was second after garnering 196 while Alexandrina Maduro had 172 in third. Francis Lettsome followed with 159 to edge St. Georges who had 155, by four points. The other school scores were: 6. Ebenezer Thomas, 142. 7. Joyce Samuel, 136. 8. Pelican Gate, 103. 9. First Impression, 86. 10. Lenora Delville, 83. 11. Bregado Flax, 63. 12. Jost Van Dyke, 41. 13. Cedar International, 26. In the absence of the Inter Primary Championships, Henry said there was very good competition among the schools.